A crucial aspect of automobile racing, especially on the amateur level, is ascertaining media coverage. We've been fortunate that Hyde has garnered as much attention as he already has and we sincerely appreciate consideration for other features in the future. 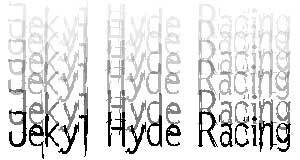 Please send us an e-mail if you are interested in featuring Hyde in your magazine, on your Web site or your television program.